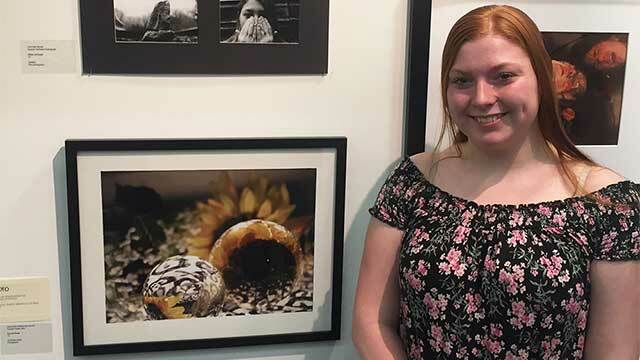 North Rose-Wolcott senior Hannah Cook’s photo, “Sunflower Dreams,” was recently named a recipient of the Biomedical Photo Communication Award at the Start Here 2019 exhibition. Cook was recognized at a reception held at the Rochester Institute of Technology, where her artwork was displayed until February 2. Start Here 2019 is an invitational exhibition that features artwork from middle school and high school students in the Rochester and Finger Lakes regions. NRW art teacher Kelley Allen praised Cook for her excellent attitude and creativity. 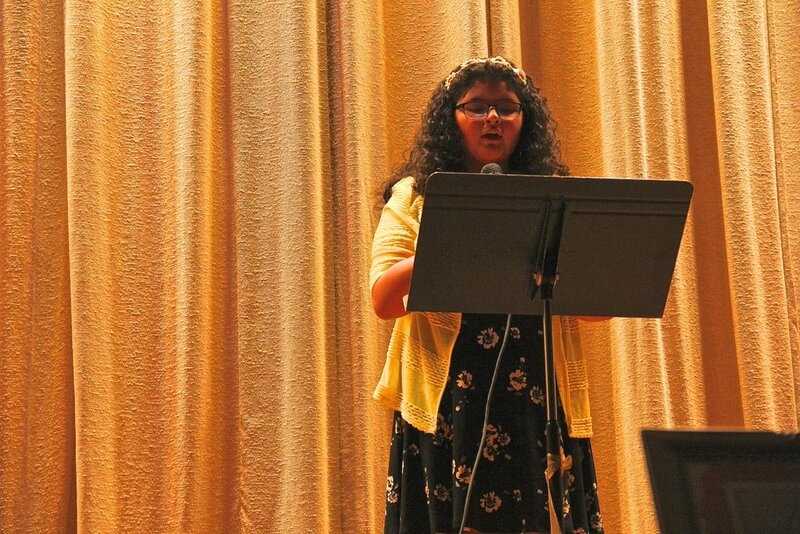 “Hannah is one of the best art students we have in the district, and I’m so proud of her for this achievement,” said Allen. “She has an outstanding work ethic and a creative perspective. NR-W senior Hannah Cook poses with her award-winning photo at the Start Here exhibition, held at the Rochester Institute of Technology.